Crowley knows Alaska. Since 1953, the company has provided fuels and lubricant distribution, energy support, and various marine transportation services throughout the state. Today, the company has more than 360 employees in three business units living, working and volunteering alongside our customers in Alaska. 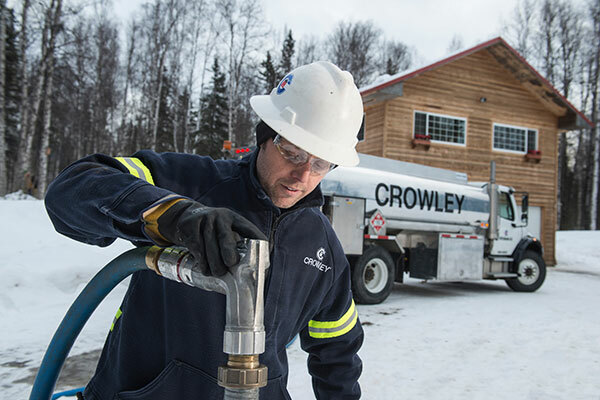 Crowley Fuels is the largest wholesale distributor of fuel products and stores, selling and transporting a wide variety of heating oils, aviation fuels, propane, vehicle fuels and lubricants to more than 280 communities across the state. Crowley Shipping provides safe and reliable tanker petroleum transportation. And Crowley Solutions provides engineering, project management and other related contract services for the energy sector. Over the decades, Crowley has played an important role in the state's business development and in enhancing the quality of life of customers, all while helping to safeguard the environment.